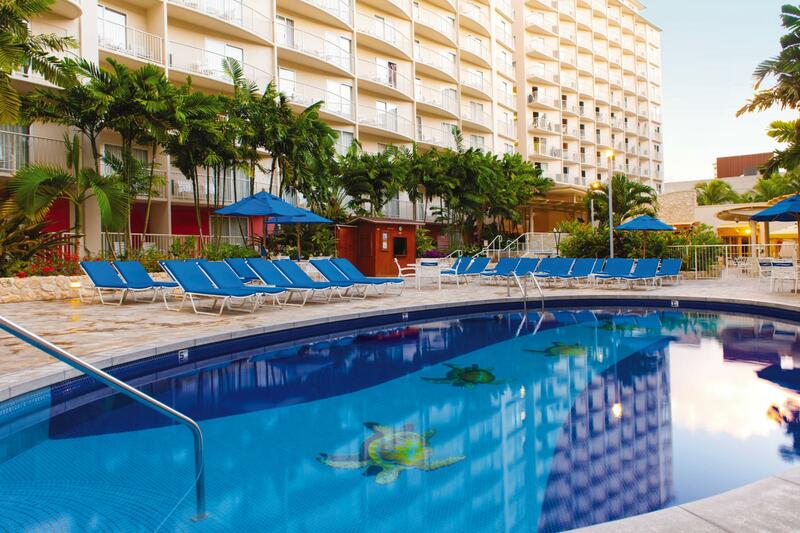 Wyndham Waikiki Beach Walk – Honolulu 1BRs 2BRs & Studios Available! Huge 2 bedroom 2 bath Villa that Sleeps 8 Comfortably! Also 1 Bedroom and Studio Units Available for smaller parties! Two-Bedroom Suites at Wyndham at Waikiki Beach Walk – Approximately 1156 – 1175 sq. ft. Create a comfortable retreat for you and your family in these stylishly appointed Two-Bedroom suites that boast 1156-1175 square feet of space. Enjoy a master bedroom with one king bed, a second bedroom with two double beds, and a separate living room with a queen sleeper sofa. Amenities range from cable television and whirlpool tub to complimentary high-speed Internet and a balcony or lanai. All units offer a full kitchen featuring a refrigerator, oven, stove and microwave. All Two-Bedroom suites, which can sleep up to eight guests, deliver the convenience of a washer and dryer. One-Bedroom Suites at Wyndham at Waikiki Beach Walk – Approximately 483 – 880 sq. ft. It will not be hard to make yourself at home in a One-Bedroom suite. Featuring approximately 483 to 880 square feet of space, these well-appointed accommodations offer a master bedroom with one king bed. Spread out in style in the separate living room that comes complete with a queen sleeper sofa, cable television, and DVD player. Delight in a lanai or balcony, which provide exceptional ocean and city views. Full kitchens are available in some units while others feature a refrigerator and microwave that make it easy to prepare quick meals or late-night snacks. One-Bedroom suites can sleep up to four guests. Large 2 bedroom with 1 King in the Master bedroom, 2 Full beds in the 2nd Bedroom, & 1 Sleeper Sofa in the 2nd Bedroom. Fully equipped Kitchen, Dining room that seats 8, Living, & Private balcony with Jacuzzi Tub in the Master Bathroom with washer & dryer in the unit! 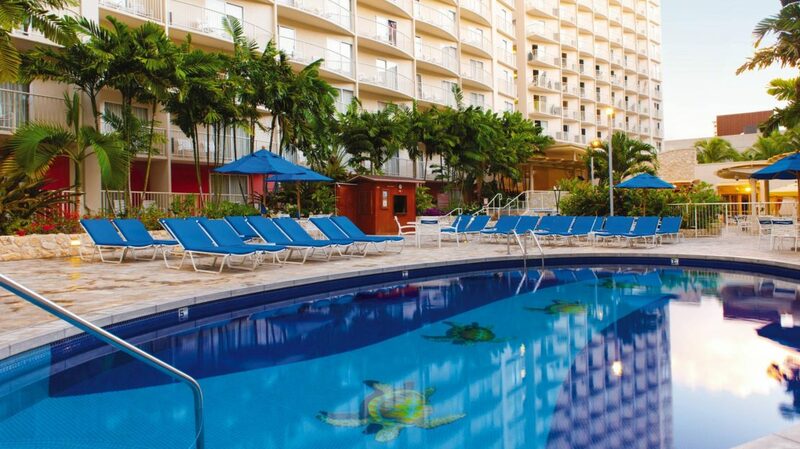 Wyndham Ocean Walk Resort – Oceanfront 3BRs, 2BRs, 1BRs, and Studios Available! The Magical Escape | Top Formosa Gardens Villa!